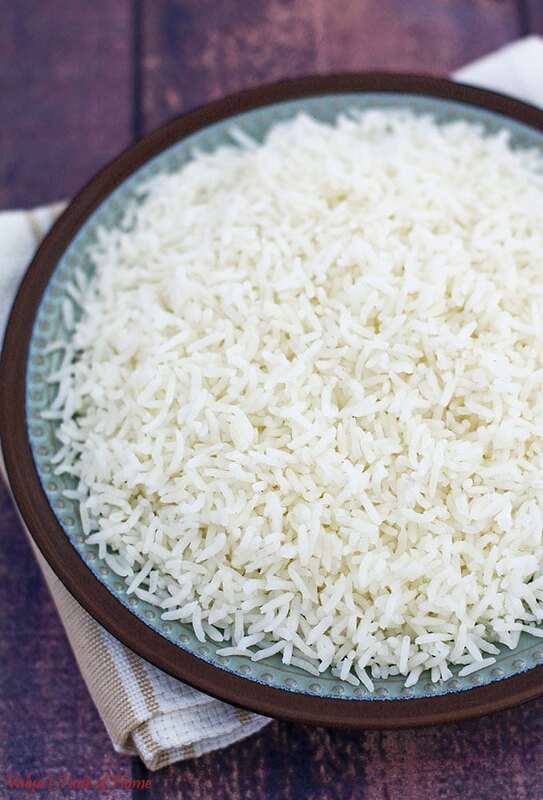 I have always loved well-cooked rice that isn’t sticky and clumpy. At a young age, however, I couldn’t master it for some time. So, I went out and gladly purchased myself a rice cooker and rolled up my sleeves. There was some improvement but still, steaming it in the rice cooker was not getting me the satisfying results I was seeking. Picky me, right? is to rinse the rice well and soak it! This removes the starches that cause clumping and yields a nice, clean fresh taste. Next is to sauté the rice! Yes, as in fry. To get the grains as dry as possible. Doing this allows the rice to cook as separate grains and gives it that delicious toasted aroma as well. Final and vital step… do not overcook! 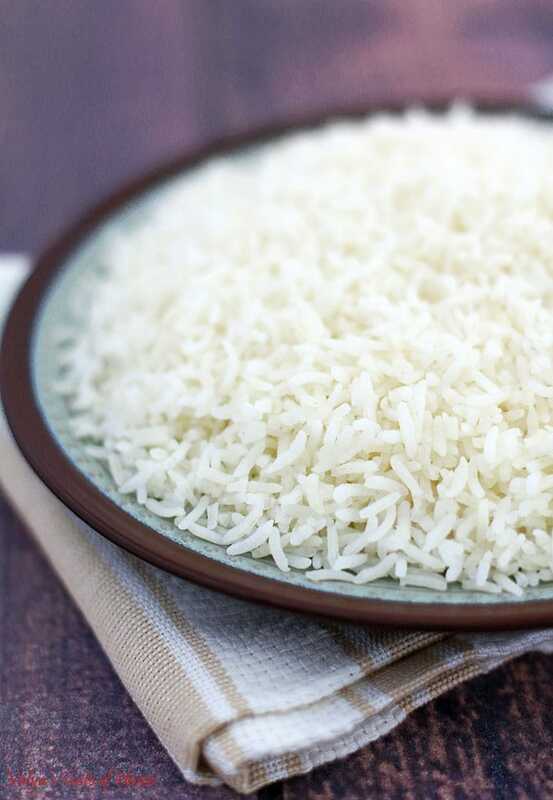 If the rice is overcooked, the grains become too soft and break apart (resulting in mushy, clumpy rice chunks), even though you followed the steps above. Pretty easy, give it a try! 1. Measure out rice, pour it into a large strainer. Place the strainer with rice over a large glass bowl under running hot water and rinse well. Then fill the bowl with hot water and let the rice soak in the water for 15 min or so. Drain the water and rinse the rice well (the water should be somewhat clear when you submerge the rice in the bowl of water on the final rinse). 2. After the rice has been soaked and rinsed well, allow the rice to drain for about 5 minutes or so, before frying. Empty the glass bowl you used to soak the rice and rest the strainer on it. 3. 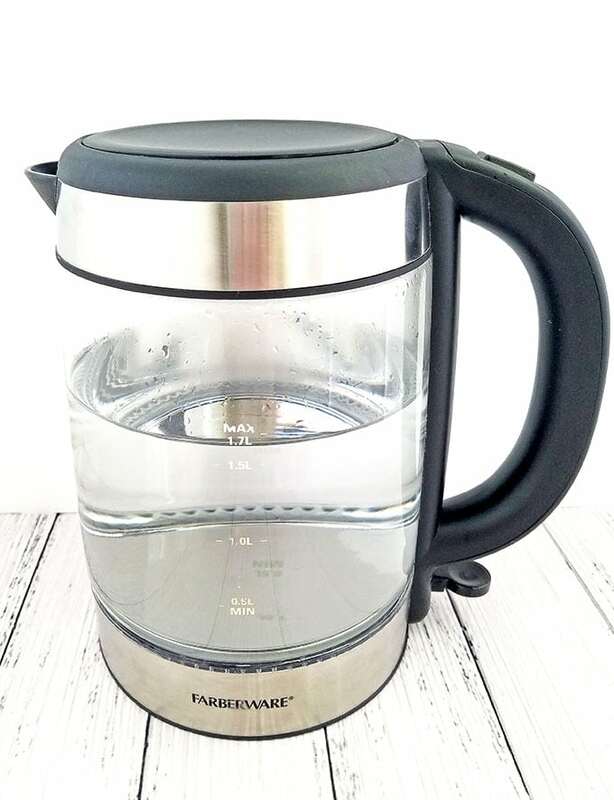 Fill a tea kettle with water and let it come to a boil (you will need this water to add to fried rice in the cooking process). While the water is coming to a boil fry the rice (you will need to boil the water and fry the rice at the same time). 4. Heat a large skillet over high heat, reduce the heat to low (3.5 if your stovetop is digital), add and melt butter. Then add well-drained rice, sprinkle some salt and fry it for 7 minutes siring every 30 seconds. 5. Transfer fried rice into a medium stainless-steel pot. Add water. Cover the pot with a lid that does not have an exhaust (so the steam does not escape from the pot during cooking). Add water. Place the pot over high heat. As soon as the rice starts boiling (in about 30 seconds) reduce the heat to low (about 1.8) and set the timer for 15 minutes to simmer. 6. Remove cooked rice from the stove top. Fluff the rice with a fork very gently. Cover the pot back with the lid, cracked open this time (for the steam to escape and cool air to reduce the moisture of the rice) and let it rest for at least 15 minutes. Serve and enjoy with Grilled Hawaiian Chicken Kabobs or any side dish of your choice! 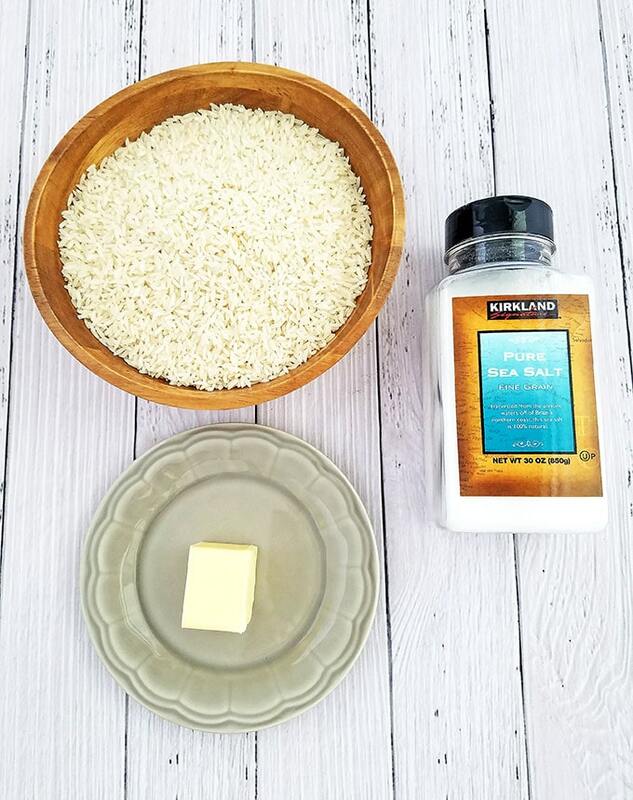 If you make this Perfect Stovetop White Rice Recipe please share a picture with me on Snapchat, Facebook, Instagram or Pinterest. Tag with #valyastasteofhome. I’d love to see your creations! ? Measure out rice, pour it into a large strainer. 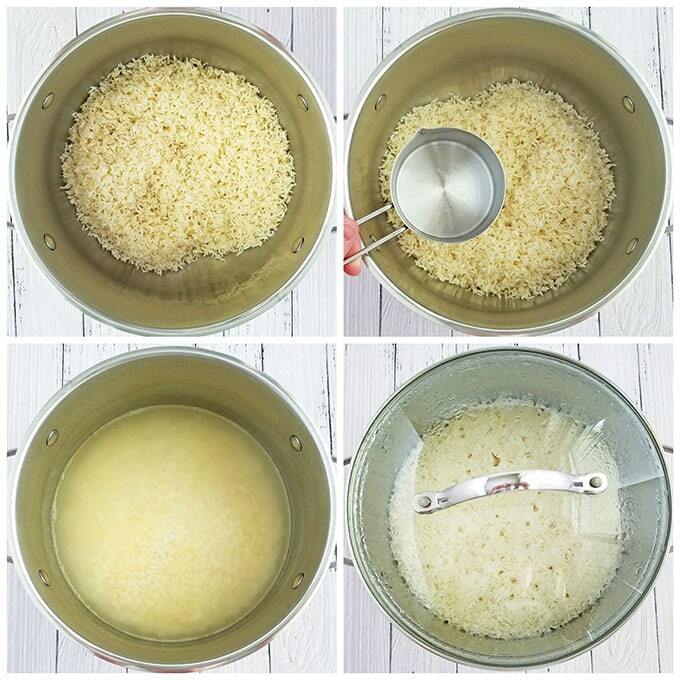 Place the strainer with rice over a large glass bowl under running hot water and rinse well. Then fill the bowl with hot water and let the rice soak in the water for 15 min or so. Drain the water and rinse the rice well (the water should be somewhat clear when you submerge the rice in the bowl of water on the final rinse). After the rice has been soaked and rinsed well, allow the rice to drain for about 5 minutes or so, before frying. Empty the glass bowl you used to soak the rice and rest the strainer on it. Fill a tea kettle with water and let it come to a boil (you will need this water to add to fried rice in the cooking process). While the water is coming to a boil fry the rice (you will need to boil the water and fry the rice at the same time). Heat a large skillet over high heat, reduce the heat to low (3.5 if your stovetop is digital), add and melt butter. Then add well-drained rice, sprinkle some salt and fry it for 7 minutes siring every 30 seconds. Transfer fried rice into a medium stainless-steel pot. Add water. Cover the pot with a lid that does not have an exhaust (so the steam does not escape from the pot during cooking). Add water. Place the pot over high heat. As soon as the rice starts boiling (in about 30 seconds) reduce the heat to low (about 1.8) and set the timer for 15 minutes to simmer. 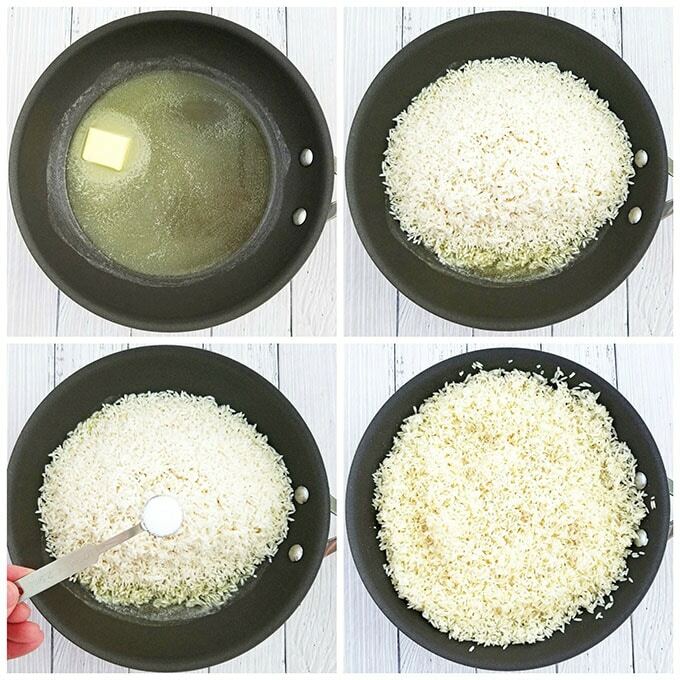 Remove cooked rice from the stove top. Fluff the rice with a fork very gently. Cover the pot back with the lid, cracked open this time (for the steam to escape and cool air to reduce the moisture of the rice) and let it rest for at least 15 minutes. Oh, this looks so fluffy and perfectly cooked! Aww… that’s so sweet of you to say that! I really appreciate your feedback! So you do a 1:1 water to rice? I thought it was 2 to 1. My rice comes out gooey, though. Too much water makes the rice come out gooey. Yes, I do 1:1 ration. Thanks for asking!